No longer just a private event for the select fashion elite, the magic of social media has brought New York Fashion Week to fans everywhere through real-time and behind-the-scenes content. The Mill had the opportunity to partner with Tommy Hilfiger and Moving Image and Content to create a series of behind the scenes Instagram and YouTube videos from the designer’s Spring 2015 runway show. From filming to final cut and colour, co-directors Alex Maxwell and Alexander Hankoff led the production of the video series within 24-hours of the show through a mobile post production setup that includes the launch of The Mill’s on set Baselight grading system. Inspired by the style and spirit of rock n’ roll icons of the ‘60s and ‘70s, the Tommy Hilfiger runway show was a celebration of the music festival girl, transforming NYC’s Seventh Regiment Armory space through bright floral arrangements reminiscent of The Beatles’ “Sgt. Pepper’s Lonely Hearts Club Band”. The homage extended to the runway made of grass and the models that walked it, including Georgia May Jagger, daughter of Rolling Stones front man Mick Jagger, and Ella Richards, granddaughter of Keith Richards. Tara Ferry, son of singer and songwriter Brian Ferry, played the drums alongside musician Steve Hash, while models rounded the runway in a collection filled with updates to festival girl staples and hand-painted star tattoo body art. Co-directors Alex Maxwell & Alexander Hankoff enlisted a team of editors and the Mill Colour team to bring the capabilities of The Mill to the #TommySpring15 runway show - filming, editing and grading the footage from the event space and at Tommy headquarters. 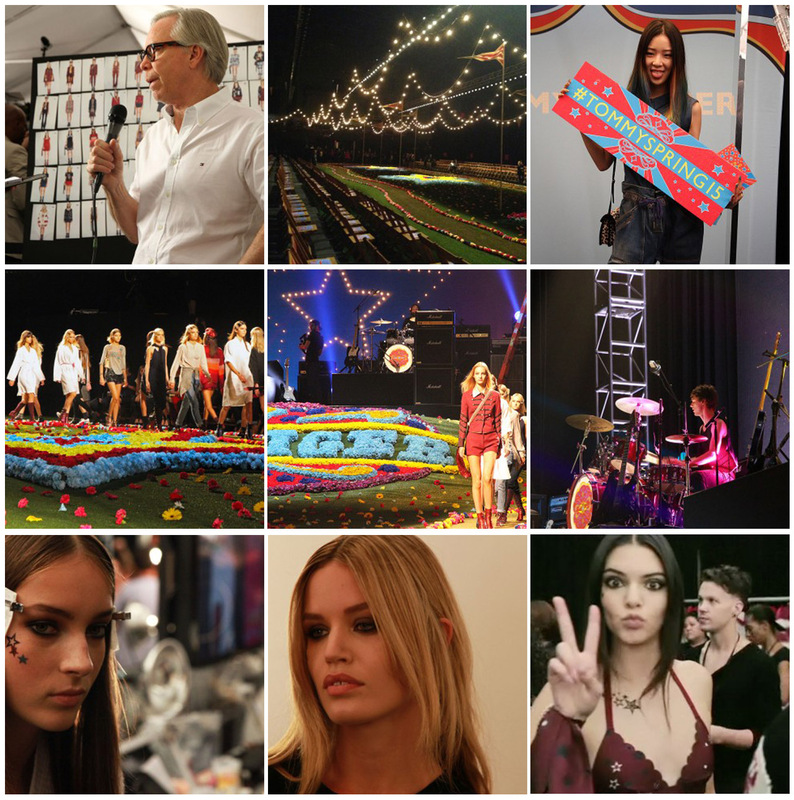 The prep began before the show with Tommy Hilfiger and Moving Image and Content defining the narrative of the films. To capture all the behind-the-scenes footage, the team had five cameras rolling before, during and after the runway show, including GoPros, 5Ds, Nikons and a Red Epic, with each camera having its own designated purpose. 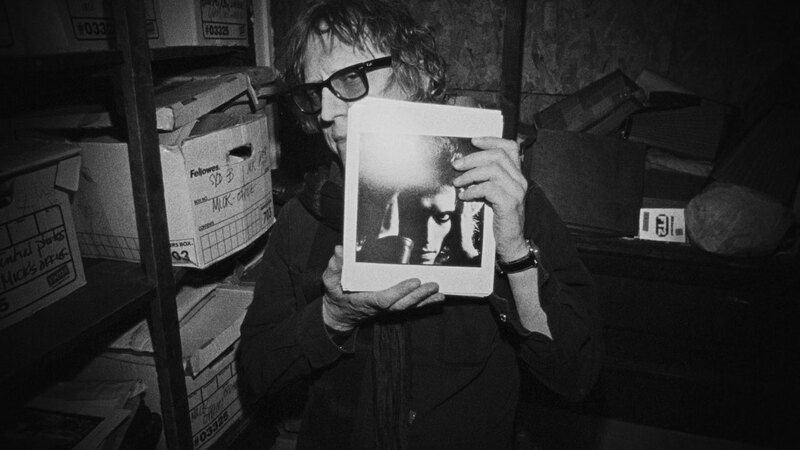 Once the footage was captured, the editors, Nuno Xico and Morgan Mitchell, were on set to begin compiling and cutting down the collection of footage into five videos under :15 seconds. The project took advantage of a mobile setup that allowed for more real time collaboration and approvals throughout the process. Mill colourist Josh Bohoskey then set to work grading the footage using an on set Baselight grading system. With film from several cameras that varied in location and lighting, Josh focused on creating a consistent look across the footage while also fitting within the show’s glamorous and edgy vintage aesthetic. The result is a series of short form videos created for Tommy Hilfiger's social channels (Instagram and YouTube) with their own themes and consistent looks that give fans an exclusive view into Tommy Hilfiger’s SS15 runway show: Alexa Chung, Backstage Pass, Rock Retrospective, Collection Inspiration, Moments of the Show and Runway Finale. Get a behind-the-scenes look at how Alexa Chung experienced the fun and rock 'n' roll vibe at the Tommy Hilfiger Spring '15 runway show. 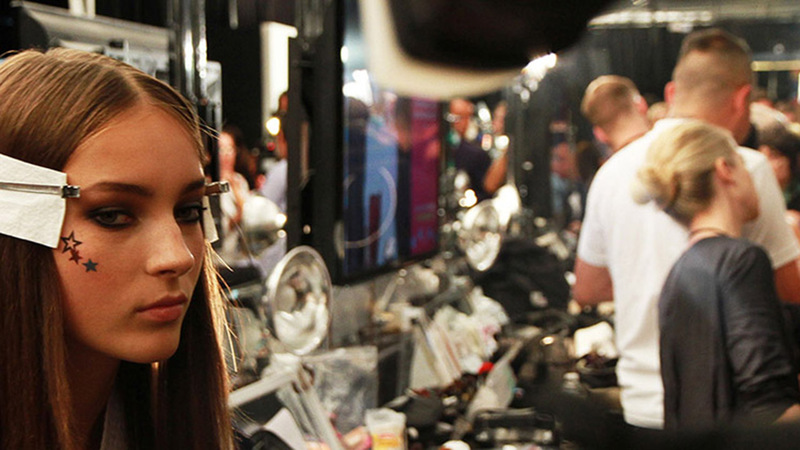 Get an exclusive backstage pass to the fabulous frenzy that takes place before the lights go up at the Tommy Spring ’15 show - a glimpse into fun backstage moments with the models, to the make-up artists and hair stylists. Listen as Georgia May Jagger shares who influences her style at #TommySpring15 NYFW. This season is about music as the muse. Inspired by his longstanding history of merging music and fashion, Tommy blends Americana heritage with vintage rock style, updated for the modern music festival muse. The theatrical style of iconic rockers from the past fused with the effortless cool of today’s free-spirited festival girl. 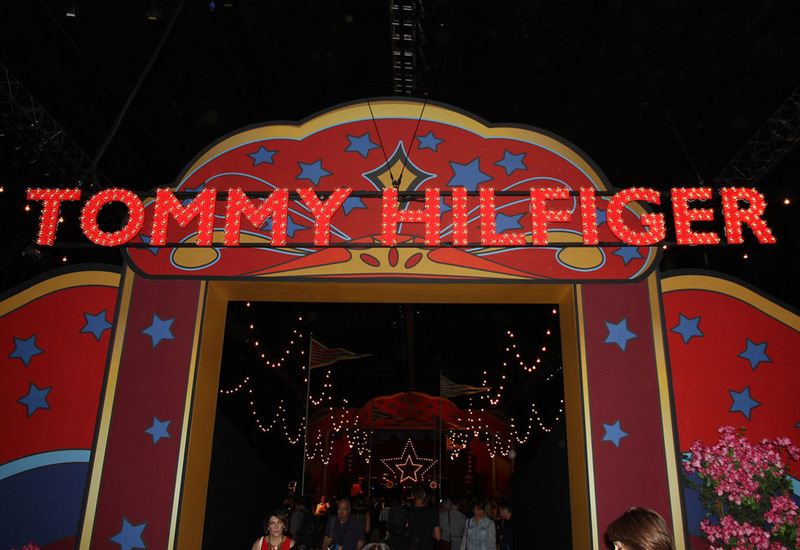 The anticipation of a great music show is fantastic—and the mood at the Tommy Hilfiger Spring ’15 show at New York Fashion Week is no different. Get swept up in the excitement as the lights dim, the audience is perched on the edge of their seats and the first model gets ready to step onto the stage with a music festival muse inspired look. The finale of the music festival-inspired runway of the Tommy Hilfiger Spring '15 show at New York Fashion Week - a reinvention of classic American style is celebrated by models and audience alike, with a stylish salute from Tommy Hilfiger himself.